Want to know something crazy? Nintendo announced not one, but two new Mario games and the return of Metroid and still came a distant third in the battle of the big three's keynotes at this year's wonderful E3. The entire exhibition has been in a self-imposed doldrum for a couple of years, but E3 2009 has been a fabulous return to form, with both Sony and Microsoft raising the roof, and the game, with their blockbusting turns on the stage. Nintendo's conference was actually fine; the New Super Mario Bros and Super Mario Galaxy 2 alone made it a great event for the fans, and yet the company was blown out of the water by its next gen rivals. First up Microsoft, opening with the two living Beatles giving their backing to Beatles Rock Band and closed with Project Natal – a motion capture, voice recognition sensor that could revolutionise gaming by doing away with the controller altogether. 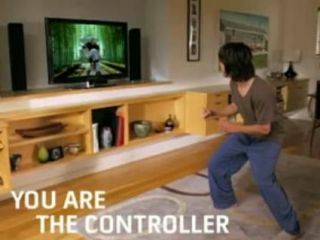 And although Sony's snippy commentary through its own Motion Control demo seemed a little churlish, it did the right thing by focusing more on its gaming line-up, and keeping gamers across the globe glued to live streams and the live audience in the palm of its hand. Nintendo showed off Wii Motion Plus – but unfortunately it had shown it off a year ago, Microsoft and Sony both managed to bring key hardware announcements to the table. Not content with Natal and a ball and stick (or Sony motion controller prototype to give it its full title), Sony and Microsoft had more – Sony's PSP Go may have been leaked beforehand, but it certainly looked good with Gran Turismo running on it, and if Microsoft can get 1080p VOD streaming then it could be a massive boon for a console that is quickly becoming more than a gaming machine. Nintendo brought Mario and more Mario, topped off with a little Metroid for good measure and there is not a true gaming fan in the world who won't have been delighted to see Super Mario Bros re-energised. And yet, with Sony showing off Assassin's Creed 2, Gran Turismo 5 and Uncharted 2 and their stunning visuals and the Xbox providing a new Halo, Left4Dead 2 and Forza 3 it is becoming clear that however powerful Nintendo's franchises, its rivals are beginning to gain some traction with their own. Let's put this in perspective, Mario will always reign supreme – but Nintendo has been back to that particular well many, many times now and judging by the disappointing sales of Super Mario Galaxy, fondness is not translating to market share in quite the same way now that the Wii is about lifestyle more than core gamers. Nintendo tried hard to insist that those core gamers could play alongside its new family market, but in constantly repeating that message it perhaps missed out on a great opportunity to bring the WOW that its rivals managed. There will be much talk about Sony and Microsoft's keynotes – and which was better, I don't think many people will be arguing that Nintendo's had the same impact.